Home » Knowledge Base » What is a Decent Gaming Laptop? What is a Decent Gaming Laptop? 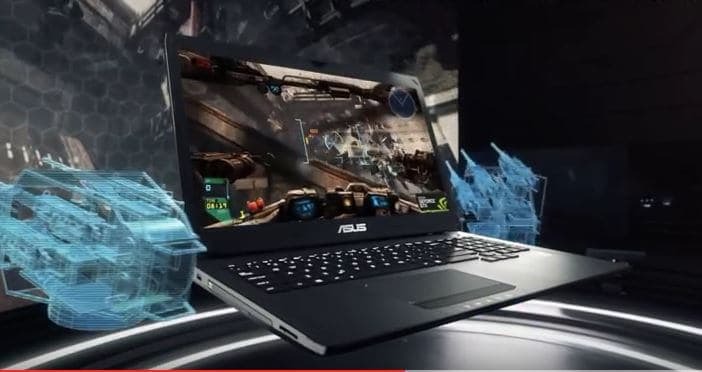 Thanks to modern technologies in processors and graphics, modern gaming laptops have improved immensely on their performance, just like the desktops. However, there is nothing like a perfect gaming laptop in the market. For you to get the best deal, you need to understand a few aspects while out shopping for the best portable gaming powerhouse. Gone are the days when only powerful PCs were designed for gaming. The need for quality graphics saw many gamers turn for desktops. Well, the technology has grown beyond this hurdle. Worth mentioning, gaming PCs are still in a better position as far as the heavy games such as those that support virtual reality are concerned. We will discuss a few tips to help you choose the best gaming laptop in the market, though. Gaming systems are designed to rely on high-end components. This often pushes their prices high. However, you do not have to break the bank to enjoy a good gaming portable machine. Entry-level gaming machines can cost in the tune of $800 up to $1,200. The features and specifications of your laptop will ultimately dictate the cost of your gaming machine. It is important that you check out the various choices before settling for any gaming laptop. You can also read our guide on budget laptops for gaming to know more. The GPU capacity of your laptop is a key point to consider. The quality of gaming is squarely based on the graphics processing unit. It is the make or break aspect of your gaming laptop. NVIDIA has become the dominant player in the recent days. It has recently released discrete cards based on the 10-series Pascal microarchitecture. The performance is close to that of a powerful desktop a decent gaming machine should at least run a GTX 900 series. AMD chips are also very stable in graphics processing. They are, however, yet to replace the old Radeon R9 moniker. The processing capacity of your gaming pc is very important. It is the heart of your machine. The recent quad-core 6th Generation Intel Core i5 or i7 CPU technologies are very efficient for gaming. The Skylake chip is designed to deliver fast processing speeds – a recipe for smooth gaming. Kaby Lake (a 7th Generation Intel Core architecture) is in the pipeline and will be the monster gaming CPU. From screen size to resolution, gaming laptops demand nothing short of the best. A decent gaming laptop would go for a 15-inch full HD display or more. While bigger screens may be fun to game on, for your laptop, consider the aspect of weight. For decent gaming, we recommend at least Full HD (1920 by 1080 resolution). Larger and higher screen resolutions may come with a high-cost implication. You can get a 4K (3840 by 2160 resolution) for the smoothest gaming experience. System memory is very important for gaming laptops. It is important to note that the higher the RAM, the better the gaming experience. This is a memory that allows for fast access to the gaming files thus better experience. We recommend for 8GB RAM or more. It allows for easy switching back and forth while gaming. Some high-end systems can have up to 16GB RAM and can accommodate multiple gaming sessions. This could come at a higher cost, though.